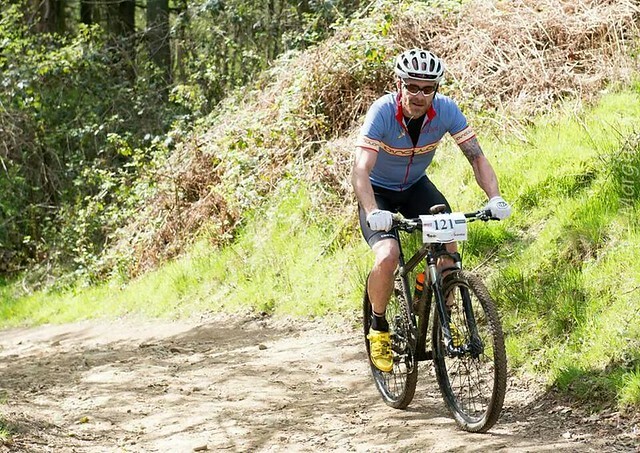 While most of us were sitting back eating chocolate eggs team rider Al Fairbairn was putting in another very strong performance to take the Vets win at the Margam Madness. The name George Budd is becoming synonymous with large amounts of pain and suffering being dished out to my poor legs. 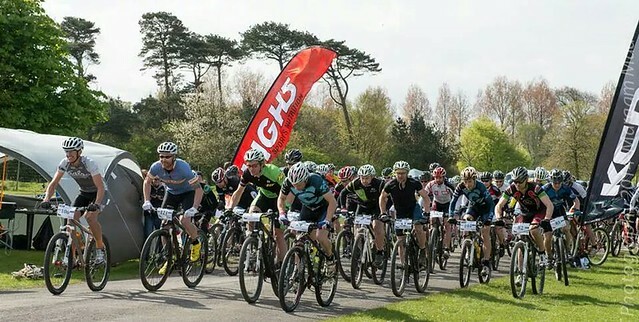 When he suggested we race the second edition of the Margam Madness 8 hour enduro i knew i was in for a day in the pain cave! We were out the door and on our way to south Wales at 6am and arrived to a beautiful sunny morning. We promptly registered, assembled our bikes and set up our pit areas. Although the sun was out there was a cold wind blowing and i was glad to get the racing underway. At 10.30am the whistle blew and sent the pack charging across a grass field towards the ominous hill side. From here the track began climbing through a combination of wooded singletrack, fireroad and loose rocks. 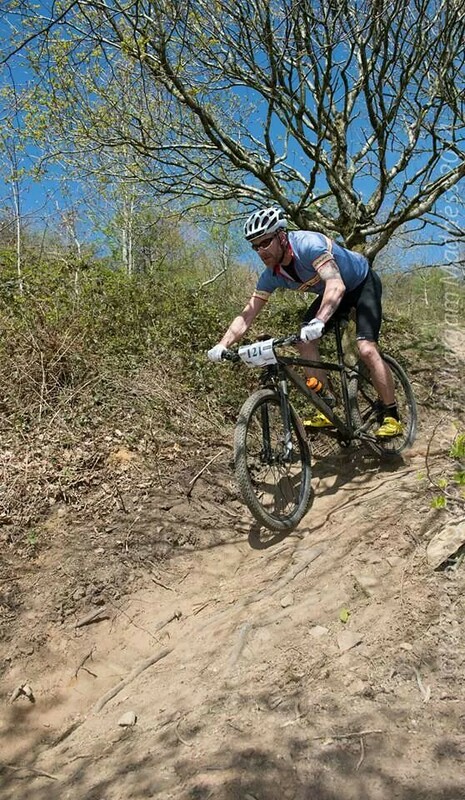 I settled into the top 5 as we hit the first descent. As we started the next climb George and the other front runners gradually pulled away. I decided to let them go as 8 hours is a long time and i didn’t want to go too hard too soon. The course was an amazing blend of horrific climbs punctuated by awesome descents featuring trail centre style berms and jumps, steep technical black graded routes and rocky fast singletrack. As the day wore on the climbing really started to take its toll. It became a mental process of breaking things down into fun sections to look forward to, in the hope that this would motivate me to keep on climbing! All in all a great day out. I went home with the Veterans win, completing 10 laps, 64 miles and 13,515 ft of climbing. George took the win in his category and in the process was the fastest man of the day beating all the teams as well! A big thank you to Gareth Hayes for putting on such a great event. I will definitely be back next year! This entry was posted on Monday, April 28th, 2014 at 11:36 am	and is filed under Uncategorized. You can follow any responses to this entry through the RSS 2.0 feed. Both comments and pings are currently closed.